A joined Watsi on July 1st, 2015. Four years ago, A became the 1316th member to automatically support a new Watsi patient every month. Since then, 3,761 more people have become monthly donors! 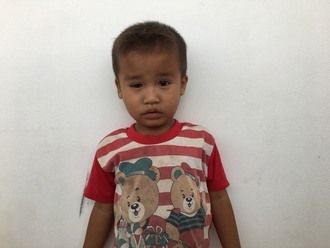 A's most recent donation supported Pyay Ti, a toddler from Burma, to fund eye surgery. A has funded healthcare for 46 patients in 11 countries. Linn Thu is a 18-year-old boy from Burma. He lives with his grandparents, parents, and two younger brothers. In his free time, Linn Thu likes to visit his friends and listen to music. Linn Thu was diagnosed with a heart condition that involves a malformation of the mitral valve, the valve between the left atrium and left ventricle. This valve controls the flow of blood, but certain conditions may cause blood to flow backward or the valve to narrow. Currently, Linn Thu feels tired and experiences chest pain. Our medical partner, Burma Children Medical Fund, is requesting $1,500 to fund a mitral valve replacement for Linn Thu. The treatment is scheduled to take place on February 22 and, once completed, will hopefully allow him to live more comfortably. “I would like to get a good job to earn a living after I recover,” says Linn Thu.